The author of this book is multi-talented. She is a marine biologist, teacher, chemist, artist and geologist. In this book targeted for middle grade students, she somehow manages to weave these disparate elements together in a well-written educational fantasy adventure. The story shifts between two groups: the golden dragons who are in danger because their life-giving copper supplies are running low, and the octopuses who live on undersea reefs. The main protagonists, Arak, the dragon, and Scree, the octopus healer, will be thrown together by a chance accident. They will work together first as trading partners and later as loyal friends. Each of them will lead their people to safety as they face extinction. Though they speak different languages, they learn to communicate. Burke does a masterful job of character development by uniquely combining the elements of caring, cooperation, romance and diversity. She successfully weaves together an intricate plot that celebrates diversity and intertwines ancient myths and legends with the scientific facts of marine biology. Readers are taken on an exciting page turning adventure in which you empathize with characters as they face each new obstacle. At the same time, almost without realizing it, you are learning about the food chain, volcanoes, sharks and giant squid. The glossary included at the end is a nice resource for the scientific background. Targeted for readers ages nine and older, the book has a wider appeal for young adult and even adult audiences. A book that entertains while providing an education is a welcome addition to any bookshelf. Highly recommended ! If you enjoyed reading this book, please subscribe by clicking on the word Follow or by hitting the orange RSS Feed button in the upper right hand corner of this post. Sounds like a fascinating read! 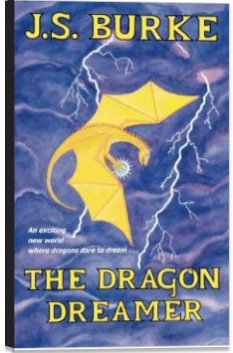 I think my son would enjoy The Dragon Dreamer. I think that he will both enjoy the story and learn a lot in the process…Happy Reading! This sounds like a wonderful living science book! Thanks for sharing this at Booknificent Thursday! Merry Christmas! Well researched and well written….